Lawsuit Alleges Fox News And Trump Supporter Created Fake News Story A lawsuit alleges the Fox News Channel worked with a wealthy Trump supporter to concoct a false report about the death of a Democratic National Committee staffer. Mary Rich, the mother of slain Democratic National Committee staffer Seth Rich, speaks at a press conference on Aug. 1, 2016. A lawsuit alleges Fox News and a wealthy Trump supporter intended to deflect public attention from growing concern about the administration's ties to the Russian government by concocting a story about Seth Rich's death. Fox's president of news, Jay Wallace, told NPR on Monday that there was no "concrete evidence" that Wheeler was misquoted by the reporter, Malia Zimmerman. The news executive did not address a question about the story's allegedly partisan origins. Fox News declined to allow Zimmerman to comment for this story. The story, which first aired in May, was retracted by Fox News a week later. Fox News has, to date, taken no action in response to what it said was a failure to adhere to the network's standards. The lawsuit focuses particular attention on the role of the Trump supporter, Ed Butowsky, in weaving the story. He is a wealthy Dallas investor and unpaid Fox commentator on financial matters who has emerged as a reliable Republican surrogate in recent years. Butowsky offered to pay for Wheeler to investigate the death of the DNC aide, Seth Rich, on behalf of his grieving parents in Omaha, Neb. Spicer now tells NPR that he took the meeting as a favor to Butowsky. Spicer says he was unaware of any contact involving the president. And Butowsky tells NPR that he was kidding about Trump's involvement. "Rod Wheeler unfortunately was used as a pawn by Ed Butowsky, Fox News and the Trump administration to try and steer away the attention that was being given about the Russian hacking of the DNC emails," says Douglas Wigdor, Wheeler's lawyer. 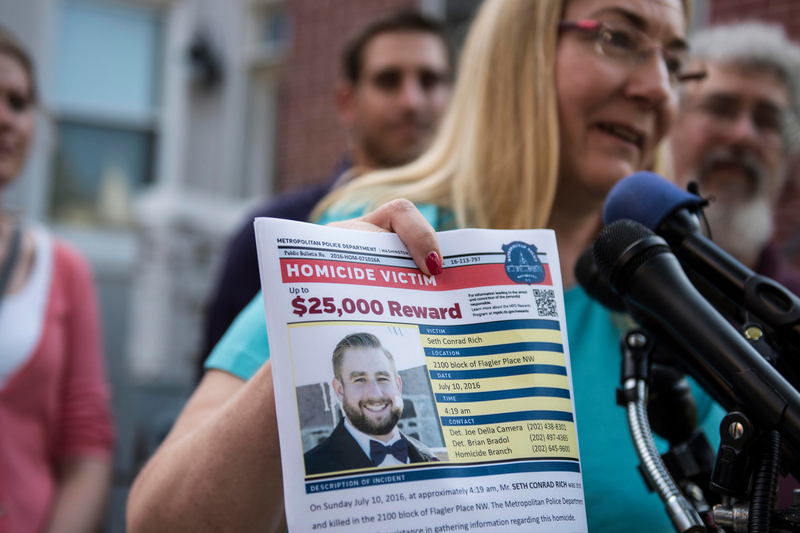 On May 16, the Fox News Channel broke what it called a "bombshell" story about an unsolved homicide: the July 2016 shooting of 27-year-old Democratic Party staffer Seth Rich. Unfounded conspiracy theories involving Rich abounded in the months after his death, in part because WikiLeaks founder Julian Assange cryptically suggested that Rich's death may have been related to the leaks of tens of thousands of emails from Democratic Party officials and their allies at the peak of the presidential campaign. Fox News' story, which took flight online and ran in segments across major shows, breathed fresh life into the rumors. Fox reported that the leaks came from inside the party and not from hackers linked to Russia — despite the conclusions of the nation's most senior intelligence officials. The network suggested that Democrats might have been connected to Rich's death and that a cover-up had thwarted the official investigation. The network cited an unnamed FBI official. And the report relied heavily on Wheeler, a former police detective, hired months earlier on behalf of the Riches by Butowsky. These developments took place during growing public concern over a federal investigation into the Trump camp's possible collusion with the Russian government during the campaign. The allegations have since touched the president's son and son-in-law, his former campaign manager, his attorney general and his first national security adviser, who resigned as a result. The question of Rich's death took on greater urgency for Butowsky after Trump fired FBI Director James Comey in early May. Comey had been overseeing the Russia investigation. The story ran just a week later. 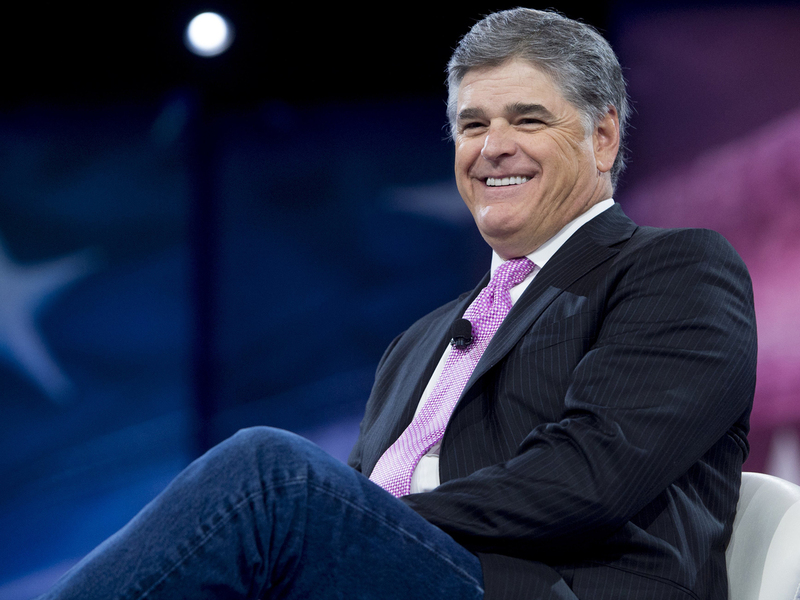 Fox News host Sean Hannity speaks during the Conservative Political Action Conference in 2016. Rod Wheeler, a longtime paid commentator for Fox News, appeared on Hannity's show to discuss Seth Rich's death. A week after the appearance, Fox retracted the story, saying the reporting process failed to live up to its standards. Fox's report went sideways shortly after it was posted online and aired on Fox & Friends. It was denounced by the Rich family, D.C. police, Democratic Party officials and even, privately, by some journalists within the network. Within hours, Wheeler told other news outlets that Fox News had put words in his mouth. Despite those concerns, Wheeler appeared on the shows of Fox Business host Lou Dobbs and Fox News star Sean Hannity, who devoted significant time to the story that night and in subsequent days. In speaking with Wheeler, Hannity said: "If this is true and Seth Rich gave WikiLeaks the DNC e-mails ... this blows the whole Russia collusion narrative completely out of the water." A week later, on May 23, Fox retracted the story, saying the reporting process failed to live up to its standards. Hannity said he would take a break from talking about Rich's death out of respect for the family. And there it has largely stood — until now. In the lawsuit, the private investigator sets out a different version of events. Wheeler, a paid Fox News contributor since 2005, alleges the story was orchestrated behind the scenes and from the outset by Butowsky, who hired him on behalf of the Rich family. The following account reflects the verbatim quotes provided from the texts, emails, voicemails and recorded conversations cited in Wheeler's lawsuit, except as otherwise noted. According to the lawsuit, Trump press secretary Sean Spicer meets at the White House with Wheeler and Butowsky to review the Rich story a month before Fox News ran the piece. On May 14, about 36 hours before Fox News' story appears, Butowsky leaves a voicemail for Wheeler, saying, "We have the full, uh, attention of the White House on this. And tomorrow, let's close this deal, whatever we've got to do." Butowsky also texts Wheeler: "Not to add any more pressure but the president just read the article. He wants the article out immediately. It's now all up to you." Spicer confirms meeting with the two but denies claims about the president. "Ed's been a longtime supporter of the president and asked to meet to catch up," Spicer tells NPR on Monday night. "I didn't know who Rod Wheeler was. 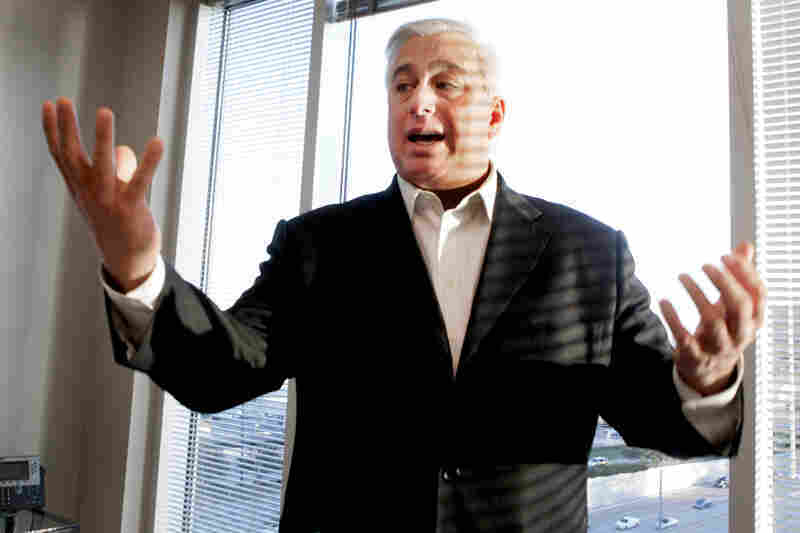 Once we got into my office, [Butowsky] said, 'I'm sure you recognize Rod Wheeler from Fox News.' "
Spicer says Butowsky laid out what had been found about the case. "It had nothing to do with advancing the president's domestic agenda — and there was no agenda," Spicer says. "They were just informing me of the [Fox] story." Spicer says he is not aware of any contact, direct or not, between Butowsky and Trump. And Butowsky now tells NPR he has never shared drafts of the story with Trump or his aides — that he was joking with a friend. Instead, Butowsky repeatedly claims that the meeting was set up to address Wheeler's pleas for help landing a job for the Trump administration. Wheeler's attorney, Wigdor, says there is no evidence to support that claim. Wheeler did play his own role in furthering the story. But he contends that he regretted it the same day it aired. His suit alleges Fox News defamed him by manufacturing two false quotations attributed to him and ruining his reputation by blaming him as the deceptive story fell apart. Wheeler, an African-American, is also suing the network for racial discrimination, saying he failed to advance as prominently as white counterparts. Fox News had no comment on that allegation. Butowsky is a silver-haired brash investor who became known for helping newly rich athletes figure out how to manage their money — and avoid getting fleeced. A native New Yorker and son of a former top enforcement officer for the U.S. Securities and Exchange Commission, Butowsky attended the University of Texas in the early 1980s. He set up his own company, Chapwood Capital Investment Management in Addison, Texas, outside Dallas, after a long stint at Morgan Stanley. Federal records compiled by the election finance database OpenSecrets.org show Butowsky has given money to the campaigns of nine politicians: seven Republicans and two Democrats, including $1,000 to Barack Obama's campaign in January 2008. The lawsuit alleges that Ed Butowsky, a wealthy Trump supporter from Texas, played a significant role in weaving a false story about Rich's death. In recent years, Butowsky has become outspoken about his political beliefs, becoming a familiar face on Fox News and its sister channel, the Fox Business Network. Butowsky has also appeared on Breitbart News' radio programs featuring then-Breitbart Chairman Steve Bannon, who became Trump's campaign chief and is now the president's senior political strategist. Butowsky emerged as a vocal backer of Trump's candidacy. He attended Trump's inauguration, posting pictures from the day on social media. In the Seth Rich case, Butowsky presented himself as a good Samaritan who came across a sliver of information about Seth Rich's death and shared it with the Riches. "I thought, 'You know what? I'm going to help these people out,' " Butowsky said on the radio show of David Webb, a conservative Fox News contributor. "Somehow, these people need to know what happened to their little boy." He gave a similar account in an interview Monday with NPR. Wheeler's lawsuit alleges that Butowsky's generosity is clearly politically motivated. On Feb. 23, more than six months after Rich's death, Butowsky introduces himself to Wheeler with a flattering text, citing mutual friends from Fox News. "Behind the scenes, I do a lot of work, (unpaid) helping to uncover certain stories," Butowsky writes, as recounted in the suit. "[M]y biggest work was revealing most of what we know today about Benghazi," the deadly attack in Libya that sparked a congressional investigation of former Secretary of State Hillary Clinton. Later that day, Butowsky speaks to Wheeler for about 20 minutes by phone, saying his primary aim is to help the Rich family. Wheeler, a 57-year-old former Washington, D.C., homicide detective, was part of the Metropolitan Police Department from 1990 to 1995, when he was dismissed, according to the agency. His New York City-based attorney, Wigdor, says Wheeler was fired for insubordination after his urine tested positive for trace amounts of marijuana. At the time he meets with Butowsky, Wheeler has been a paid contributor to Fox News for more than 11 years and has been actively but unsuccessfully seeking greater exposure on the network, according to the suit. Five days later, the two men meet in person at a lunch in Washington. Butowsky introduces an unexpected third guest: Malia Zimmerman, a Fox News investigative reporter based in Los Angeles known for enterprise reporting from a conservative standpoint. According to the account in the suit, Butowsky cautions Wheeler before they set out to meet the Riches: "[M]ake sure to play down Fox News. Don't mention you know Malia." And Butowsky lays out a different mission than aiding the Rich family. Butowsky says he became convinced that the FBI had a report concluding that Seth Rich's laptop showed he had had contacts with WikiLeaks after speaking to the legendary reporter Seymour Hersh, who was also investigating Rich's death. According to the transcripts in the lawsuit, Butowsky says Hersh had an FBI source who confirmed the report. "I hear gossip," Hersh tells NPR on Monday. "[Butowsky] took two and two and made 45 out of it." Wheeler does not make great headway. The FBI informs Butowsky, Wheeler and Zimmerman that the agency is not assisting the Washington, D.C., police on the investigation — undercutting claims about an FBI report. A Metro D.C. police detective tells Wheeler that Rich's death was likely a robbery gone awry and that the FBI is not involved. On May 10, Butowsky and Zimmerman call Wheeler to say they have an FBI source confirming emails were sent from Seth Rich to WikiLeaks, though they do not share the source's identity, according to the investigator's suit. Wheeler will later say this is the only federal law enforcement source that Fox News — or he — has related to this story. Wheeler says he doesn't know whether that source emerged from Butowsky's conversation with Seymour Hersh or whether it was a fabrication. The next day, Zimmerman sends Wheeler a draft of her story, which is to run initially on the network's website. It includes no quotes from Wheeler. The night before the story ran and the day of the story itself, Butowsky coached Wheeler on what to say on the air." As the night before the story is aired progresses, Butowsky is awake, online and anticipating what is to unfold in a few short hours. Butowsky sends an email to Fox News producers and hosts coaching them on how to frame the Rich story, according to the lawsuit. Recipients included Fox & Friends hosts, Steve Doocy, Ainsley Earhardt and Brian Kilmeade. "I'm actually the one who's been putting this together but as you know, I keep my name out of things because I have no credibility," Butowsky writes, as reflected in the Wheeler suit. "One of the big conclusions we need to draw from this is that the Russians did not hack our computer systems and ste[a]l emails and there was no collusion" between "Trump and the Russians." The night before the story ran and the day of the story itself, Butowsky coaches Wheeler on what to say on the air: "[T]he narrative in the interviews you might use is that you and [Fox News reporter Malia Zimmerman's] work prove that the Russians didn't hack into the DNC and steal the emails and impact our elections." In another text, he writes: "If you can, try to highlight this puts the Russian hacking story to rest." On the evening of May 15, Fox News' sister local station in Washington, Fox 5 DC, runs a story online at once promoting and pre-empting the network's apparent scoop. "The police department nor the FBI have been forthcoming," Wheeler tells the station. "They haven't been cooperating at all. I believe that the answer to solving his death lies on that computer, which I believe is either at the police department or either at the FBI. I have been told both." On Fox & Friends, the hosts call the story a 'bombshell.' "
Asked whether his sources have told him about information linking Rich to the WikiLeaks email dump, Wheeler says, "Absolutely. Yeah. That's confirmed." Fox News reports that evidence from Rich's laptop showed he had been in contact with WikiLeaks just days before the site posted those emails. Fox also reports that powerful forces were trying to quash the official investigation into his death. On Fox & Friends, the hosts call the story a "bombshell." Zimmerman's online story cites an unnamed "federal investigator who reviewed an FBI report" for its findings. It also cites Wheeler, incorporating two key quotations from Wheeler that do not appear on video. In each, the private investigator seemingly takes ownership of the accusations. The first: "My investigation up to this point shows there was some degree of email exchange between Seth Rich and WikiLeaks." The second: "My investigation shows someone within the D.C. government, Democratic National Committee or Clinton team is blocking the murder investigation from going forward. That is unfortunate. Seth Rich's murder is unsolved as a result of that." According to the lawsuit, Zimmerman promises to have those lines removed — but they stay in the story. Zimmerman then tells him that her bosses at Fox News had instructed her to leave those quotes in. That same day, the suit recounts, Zimmerman writes a letter to Seth Rich's father, Joel, distancing Fox News from responsibility for what the network reported: "Much of our information came from a private investigator, Rod Wheeler, who we understand was working on behalf of you." Wheeler challenges Zimmerman over the letter in a three-way phone conversation that also included Butowsky. The Fox News reporter defends herself: "That's the email that Fox asked me to send him. They wrote it for me." Wheeler replies: "That's not accurate, though, because much, much of the information did not come from me." "Not about the emails. Not the part about, I mean, the connection to WikiLeaks," Zimmerman acknowledges. "But the rest of the quotes in the story did." Butowsky weighs in: "One day you're going to win an award for having said those things you didn't say." Later, according to the recordings transcribed in the suit, Butowsky acknowledges Wheeler hadn't made any claims of personal knowledge about emails between Rich and WikiLeaks. "I know that's not true," Butowsky says. "If I'm under oath, I would say I never heard him say that." Zimmerman issues instructions for Wheeler's appearance on Sean Hannity's show later that evening. "Reread the story we sent you last night [that contained the invented quotes] and stick to the script," she texts Wheeler. Despite his misgivings, Wheeler plays along. On Hannity's show, Wheeler says he doesn't personally know about Rich's emails or computers but says that a "very credible" federal investigator says "he laid eyes on the case file." Wheeler offers energetic speculation though not much more: "When you look at that with the totality of everything else that I found in this case it's very consistent for a person with my experience to begin to think well perhaps there were some e-mail communications between Seth and WikiLeaks." On May 23, Fox News posts an unsigned statement retracting Zimmerman's online story. The network does not apologize or explain what went wrong. "The article was not initially subjected to the high degree of editorial scrutiny we require for all our reporting," the statement reads. "Upon appropriate review, the article was found not to meet those standards and has since been removed." In early June, Wheeler meets with Dianne Brandi, general counsel for the network, and Jay Wallace, the network's president for news. He makes his case that fabricated quotes had knowingly been attributed to him. Neither ever publicly speak of the matter afterward, until now. "Since meeting with Rod Wheeler, we have also met with Malia Zimmerman to try to determine whether Rod was misquoted," Wallace says in a statement to NPR. "As of now, we don't have concrete evidence that he was." A Fox News executive knowledgeable about the controversy, who would only speak if granted anonymity, tells NPR, "The story was published to the website without review by or permission from senior management." The executive notes that Wallace had placed the broadcast and digital newsgathering teams under the same leadership for the first time after a series of management changes following the forced departure of the network's founder, the late Roger Ailes, and many of his top deputies. In late June, Wheeler warns Fox News and Butowsky that he may file suit. Three days later, Butowsky tweets: "Fox News story was pulled b/c Rod Wheeler said [he] didn't say a quote ... How much did DNC pay him?" And then Butowsky tweets: "This shows Rod Wheeler has a major battle with the truth." The two men, thrust together on a common effort for months, have been torn apart by its aftermath. In the interview with NPR, Butowsky insists that he was acting out of a civic-minded spirit for the Riches and not with any partisan or political drive. Zimmerman remains on staff at Fox News, actively reporting on unrelated stories. A spokeswoman for the FBI tells NPR this week that the agency has played no part in the investigation of the unsolved homicide. And a spokeswoman for Washington's Metropolitan Police Department says, "MPD stands behind its original assertion that Seth Rich was the victim of a botched armed robbery."